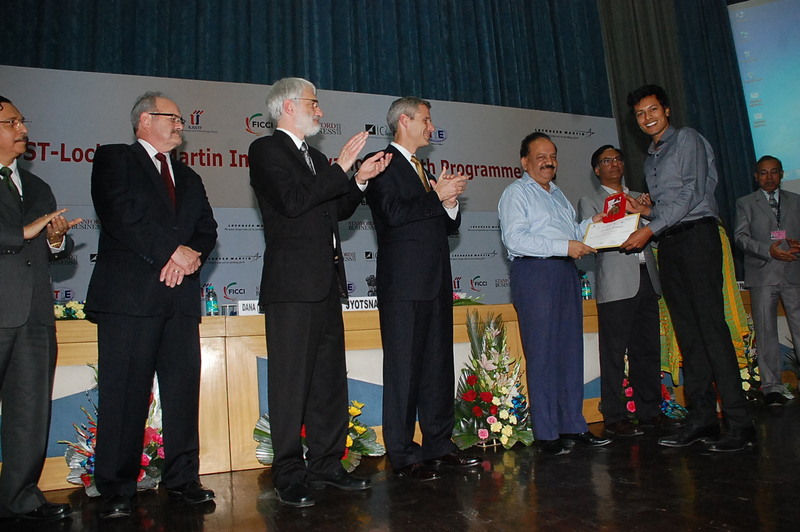 Swagene won the gold medal for Innovation at the DST-Lockheed Martin India Innovation program in Delhi on May 13th, 2015. 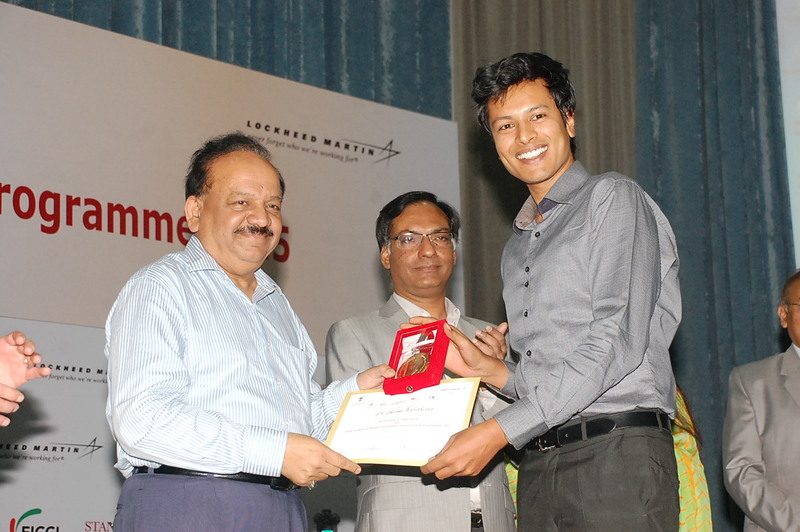 Sooraj Ratnakumar, the founder-scientist, received the medal and certificate from Dr Harsh Vardhan, Union Minister of the Department of Science and Technology (DST). Swagene has won the award from about 1,500 applications received this year. The awards are conducted by FICCI, the Federation of Indian Chambers for Commerce and Industry. It is one of the biggest industry bodies in India. CII, the other big industry body, has already feted Swagene for ‘Startup of the Year 2014’ in healthcare. Copresenting the award during the ceremony were: Dr Dana (Keoki) Jackson, CTO, Lockheed Martin; Dr Paul Pfleiderer, Senior Associate Dean, Stanford Graduate School of Business; Sid Burback, Director IC2 Institute at University of Texas, Austin; Dr Rajiv Sharma, Executive Director, Indo-US Science and Technology Forum; and dignitaries from FICCI and DST. They are all partners in the program conducted by the Government of India together with Lockheed Martin Corporation.